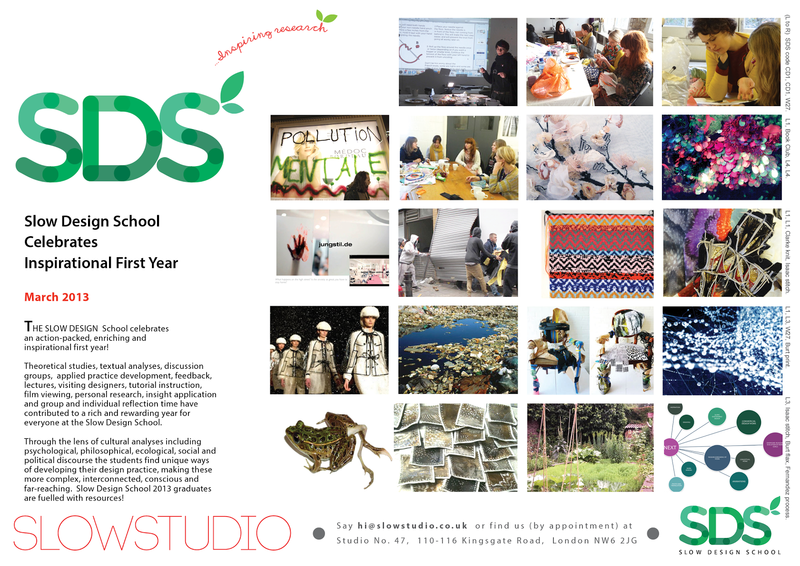 The Slow Design School has had an amazing first year! The breadth and depth of work undertaken is exemplary with funding applications, publication and PhD candidacy now underway. Watch this space for details of our exciting graduate projects from Zoe Burt’s Grow Your Own Fashion to Sarah Marais’s Making & Flourishing: Crafts Practice as a Means of Building Community Assets, Health & Well-being. If you’re ready to extend your creative roots into UK and EU soil then this is the place. Equally, if you’re a teacher looking for inspiration and new knowledge then you’ve come to the right place. We take your practice to another level of value, complexity and sophistication. Details of Slow Design School enrolment for Spring 2014 here. Previous articleThe GeometricsAre you one?